Ted Wilson was born and raised in Michigan in and around the Detroit area and has lived there all his life. His music career started out singing at different local bars. No formal training just a strong enjoyment for singing. Ted decided to become a Willie Nelson tribute artist when people started telling him how much his voice sounds like Willie Nelson's not to mention his physical resemblance to the artist. With songs like "Hoagy Carmichael's Georgia", and Willies own "On the road again," or a big favorite, "Always on my mind," and a host of other favorites. 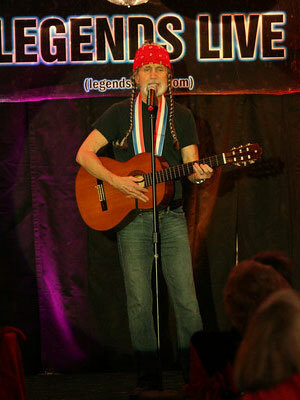 If your looking for a Willie Nelson tribute artist, Ted Wilson's tribute will not dissapoint.